Vaclav Havel was born in October 1936. His first literature experience was the notes, made in one of the family albums by “Vaclav Havel, 3rd grade pupil”. Under the title “War end in Havlov” he dramatically described May 9, 1945 events and the fleeing of German troops from Zhdarts under the pressure of Red Army. In 1947 he graduated from the secondary school in Zhdarts. In no time after that he was sent to the boys boarding school in Podebrady, where he started independent life. In 1951 he studies as chemical laboratory assistant, works and also passes classes at the evening gymnasium. At the meeting of young writers in November 1956 Havel’s speech shocked the audience by the valor with which he expressed heretical in those times thoughts about the freedom of creativity and by the laconism of definitions. He passed his military services as a sapper in Czesk-Budeevits where he organized a theatrical group and played in it himself. Moreover, he acted as a coauthor to Karel Brynd in writing a highly politicized play about soldier’s dignity “Life ahead”. In 1959 Havel writes a one-act play “Family evening” and resumes studies in theatrical criticism and theory. He publishes articles in the magazines “Theatre” and “Culture”. Thus he gradually grows from the art critic into a politicized publicist and essayist with an extremely broad sphere of interests. On December 3, 963 in Otomar Kreichi’s theatre there was held the first show of the “Feast in the garden” – Havel’s first big play, written without coauthors. 1966. “Tipograms” – verses, written in a genre of experimental poetry, are made part of the “Protocols” book, along with the plays “Feast in the garden”, “Notification”, essay “On dialectic metaphysics” and “Gag’s anatomy”. This book provoked a huge resonance. 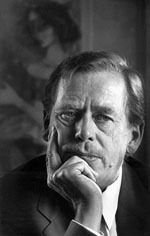 Earlier in March 1965 the Chief department of press supervision in its daily report bans the “Face” journal to publish Vaclav Havel’s “visual poem” “Forward”; in March 1966 it was recommended to the Slovak student journal to remove an interview with Havel about his activism in the “Youth Active” of the Union of Czechoslovakian writers. During the invasion of Soviet troops on August 21, 1968 Havel worked in the town of Liberets at the local radio. Havel engages in numerous protest rallies, called to save at least the fundamental achievements of the recent democratization, becomes a member of the Union of writers’ Central committee and heads the editorial board of a renovated “Face” magazine. Havel attempts to solve the problems that befell his country in his own way, by commencing in early 70ies his play “The Plotters”. 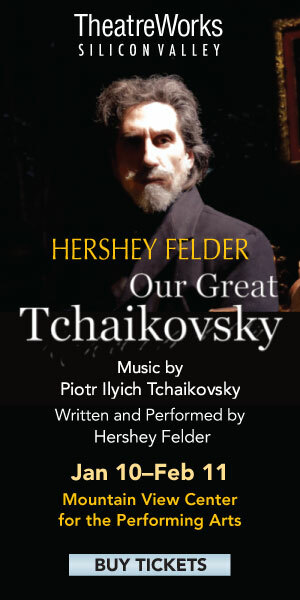 It was staged in Western Germany in 1974, while the premiere in Czechoslovakia was held almost 20 years later – in 1992. In 70ies it was namely Havel’s realization of a direct link between the artistic approach to reality and the feeling of the “freedom indivisibility” that made him one of the founders of the independent thinking platform – “Charter-77”, signed by 241 individuals. On January 14, 1977 following numerous arrests Havel once again gets to prison, which he leaves not until spring – May 20. In October 1977 under trumped-up charges Havel is condemned to 14 months of jail conditionally with 3 years of sentence respite. However, several months later he is indicted for “assaulting a state servant on duty”. Up until March 1978 Havel is held in custody – but as soon as they let him go, he becomes one of the organizers of the Committee for the protection of those who are unfairly persecuted and most actively engages in its operation until May 29, 1979. On that very day the committee faces repressions; Havel is again apprehended, charged over an attempted coup d’etat and on October 23 is sentenced to 4 years of jail without any respite. In no time after release Havel gets involved in a public life: puts his signature under the “Charter’s” documents, gives interview to the Western correspondents, writes after the prison memories his play “The Fault”. Havel’s first public appearances refers to 1988: in September he enters the scene of the folklore festival in Lipnits, in December participates in the celebration of the theatre’s 30-year jubilee. On January 16 he’s again arrested, while in February, despite international community protest, he is again sentenced for subversive activities. After November 17, 1989 Havel turns into the central figure of the notorious events, which brought about the collapse of the communist regime. Upon Havel’s call and due to his initiative they set up the “Civil movement”. Havel as its leader becomes the sole real nominee for the presidency and on December 29, 1989 they elect him to this post.